Today slots are known as the games that bring the highest profits to casinos. They are played all over the world and equally loved in UK, USA, Japan, Australia, and Brazil. Thousands of gamblers are involved in playing slots every day, but not all of them know the history of slot machines. In fact, slots is one of the youngest casino games as it appeared at the end of 19th century. Till the modern times its history had 3 important events that may be called as crucial points for slots gambling. Mechanic games that appeared in late 1890ies and were popular till 1970ies, was the first episode in the history of slot machine. In fact, this period involved many important events, including creating of the first slot machine, popularization of slot games between American and European players, and formation of slot machine as the most popular game to play. 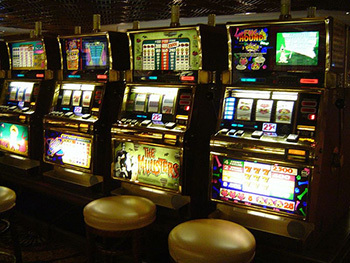 During this period slot machines had been improved, but the main features of them were the same. The machine had mechanical reels that started to spin when player pushed a level. Due to the mechanical interface of the game, a lot of cheating methods appeared. In the end of 1970ies first video slot machines appeared. They preserved all features of traditional games with one important distinction – all reels became electronic. Due to this, bigger number of games appeared with different symbols and game themes. In 1980ies video slot machines reached their popularity. Along with video poker that appeared in 1980ies, these two games became extremely popular among the players. Video slot machines have also got new features. For example, multipayline games appeared. It was impossible to introduce such option into the mechanic games, but with appearance of video slots this option became available. Moreover, with the improvement of technologies, the so-called progressive jackpots appeared. Due to them game became more interesting for players, and number of slot machine gamblers increased. At the end of 20th century the new option for playing slots appeared – online casinos. In fact, online slot machine games resembled video slot machines a lot, but the way of playing them, was changed greatly. Starting from 1994 any player can download software and install it into the computer. During the first five years online gambling market has grown dramatically, and today it takes leading positions in the online services. As you can understand, today online gambling is the most popular way of playing casino games. Most of the online casinos offer great bonuses such as golden tiger casino free play and no deposit bonus. The number of online slots is very big, and you can play them not only with the help of your computer, but also using you mobile phone or tablet. The truth is that technologies are developing very quickly and in several years new ways of playing slot machines appear. Today no one can predict the way the games will be played, but we are sure that it will be quite good for all the players. But now let us enjoy slot machines at traditional and online casinos and win jackpots that will turn our dreams into reality!